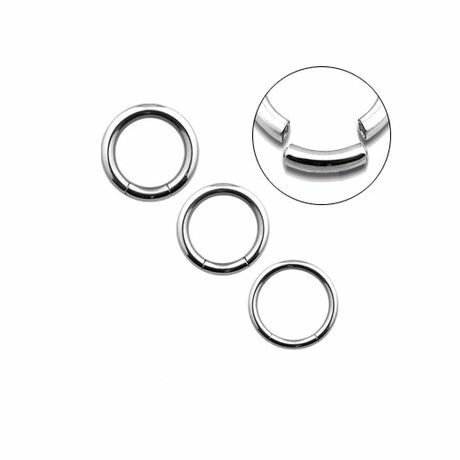 This is a 316L surgical steel seamless segment ring. Sizes are available in 8 gauge length 12mm, 10 gauge length 12mm and 12 gauge length 12mm. Item is sold individually. High quality body jewelry.